Sally Smith, the CEO of Buffalo Wild Wings (BWLD), told CNNMoney Wednesday that her company and other restaurants may not want to hire teens for $15 an hour because that's too much to pay for an inexperienced worker. "It's important to remind people that the restaurant industry trains a lot of people. Restaurants are often where a person gets their first job. They get it in high school or college," Smith said. "So a $15 minimum wage could have an impact on youth employment." Buffalo Wild Wings isn't actually on the list of 116 companies that would be affected by New York State's proposal to raise the minimum wage for fast food workers to $15 an hour. Smith said that some Buffalo Wild Wings franchises already refuse to hire anyone under the age of 21. One reason is because the chain serves beer. But Smith said the bigger factor is that franchisees can save money by hiring older workers who don't need as much training. "It may be hard to justify hiring a 16-year old for $15 an hour when you can get experienced people," Smith said. That could be bad news for teens, who already have an unemployment rate of 18.1% according to the government. The teen unemployment rate is down from 20.7% a year ago, but it's started to tick higher again in recent months. 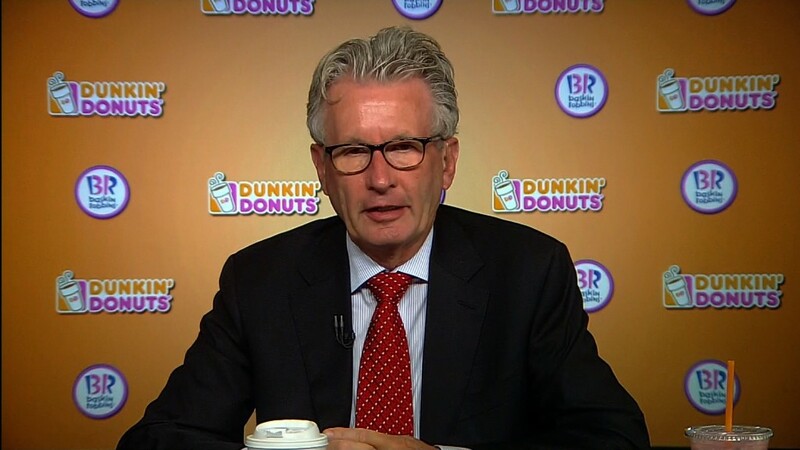 Dunkin' Brands (DNKN) CEO Nigel Travis told CNN"s Poppy Harlow last week that $15 an hour was "outrageous." McDonald's (MCD) CEO Steve Easterbrook told investors that many franchisees are nervous. Wall Street doesn't seem too concerned about higher wages hurting profits for the top chains either. Buffalo Wild Wings shares surged 10% Wednesday thanks to a strong sales outlook. So it looks like successful companies -- places where consumers actually want to go eat -- will adjust to the fact that their workers may soon make more money. To that end, Starbucks (SBUX), Dunkin' Brands and Chipotle (CMG) all reported strong earnings and sales last week -- despite increasing labor costs. But McDonald's (MCD) continues to struggle as it grapples with issues much bigger than worker pay. CNNMoney's Jeanne Sahadi contributed to this report.